On Tuesday 15th May, Nigeria witnessed its first mass wedding in the Northern city of Kano when 100 couples were married off by the Kano state government under a programme to address the high rate of divorces in the state. Mass weddings around the world are nothing new; with the earliest recorded in 324 BC during Alexander the Great’s wedding to a Persian princess when he simultaneously wed many of his outstanding soldiers to other Persian women. Mass wedding ceremonies have since taken place in numerous countries around the world, cutting across an array of religious and secular societies for various reasons ranging from the religious, such as the mass wedding of over 2500 couples by the Unification Church in South Korea in March 2012; to those making socio-cultural statements, such as the wedding ceremony of 200 couples in Bangladesh in 2003 to protest against dowry paymentsor to save costs, such as the July 2011 mass ceremony in Indonesia of thousands of underprivileged couples who could otherwise not afford marriage certificates. 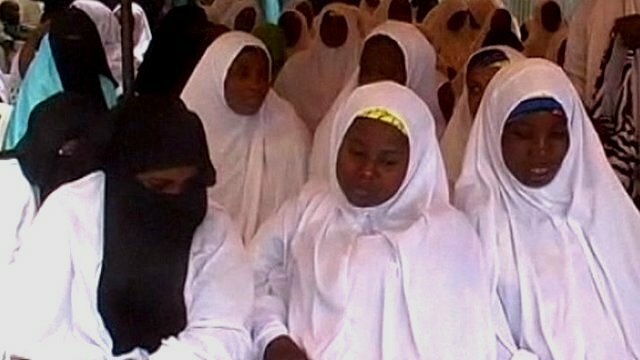 These notwithstanding, the situation in Kano might be the first of its kind where mass weddings are organized and sponsored by a tier of government as a panacea to a social malaise in the form of high rate of divorces, growing number of divorced and widowed women and the broken families spawned from such. This scheme has raised eyebrows among sceptics who perceive the action of the Kano state government as addressing the symptom of the malaise and not the root cause. marital failure leaves a string of broken homes and a gradual breakdown of the family unit which according to government officials forms the foundation of societal ills as children from these circumstances, become susceptible to social vices such as prostitution, begging and drug abuse. The women with little or no formal education and skills become dependent on family members, vulnerable (to social vices) and in rare cases, even stigmatized. It is in recognition of this crisis that the Kano state government via the Hisbah board (Shariah implementation agency) in conjunction with the NGO, VOWAN headed by Hajiya Altine Abdullahi, a divorcée herself, came up with the mass marriage scheme to address this social malaise. Thus a number of divorced and widowed women registered with the programme, arrangements were made for interested suitors (including Hisbah officials) to meet, those who felt they had found their soul mates were then screened (including HIV tests), and the first batch of weddings took place on the 15th of May, with other batches to follow subsequently. In the first place, it is worth noting that this programme involves women who are divorcées or widows, not single women who have never been married. This is in recognition of the fact that men typically, not just in Kano and Northern Nigeria, but all over the world are more likely to opt for a single woman who has never been married than for a widow or divorcée. Besides, in the conservative Kano society where a woman’s marital status impacts heavily on her image in society and her respectability, this is perhaps a timely move within this context, by the government to assist these vulnerable women in finding suitable partners and have fulfilling marital lives where they would otherwise find it difficult to do so. Here, the case of a blind couple, Batula Umar and Adamu Faidawa who got married under this scheme, is instructive as it would have ordinarily been difficult for them to get suitable spouses. Secondly, it is worth emphasizing that there was no element of compulsion from the Hisbah board on these women to participate in the initiative. The 1,000 women who signed up for this programme did so out of their own volition. According to the Hisbah board and VOWAN, women and men who qualified were allowed to meet each other at the Hisbah offices, with a window of courtship period provided for the couples to get acquainted with each other and finally, they decided on their own whether they wished to go ahead with the process of marriage or not. Thirdly, the government made concerted efforts to not only shoulder the costs of the wedding and reduce the burden on the brides and grooms, but also to empower the couple especially the women. The Kano state government provided the dowry of N10,000 ($64) per bride, N100,000 ($640) for furniture and kitchen ware, (a common practice in Northern Nigeria) and N20,000 ($124) given to each bride to start up a business venture. Thus in addition to marrying the women off, an economic solution has also been added to the equation by given them a start up capital, empowering them financially and economically. Fourthly, the government made efforts to register and document these marriages and ensure the existence of a contractual agreement, which would serve as a check against arbitrariness on the part of either party, especially the husbands to just divorce and discard these women at will. This was buttressed by the Director General of the Hisbah board, as he emphasized that the near absence of a social contract was principally responsible for the collapse of marriages. These ostensible merits notwithstanding, and as with any social policy, there is a healthy dose of scepticism regarding the programme’s sustainability which appears to tackle the symptoms of a problem without effectively addressing the root cause(s). Critics are of the opinion that the government has not made concerted efforts in finding out the underlying reasons behind the high incidence of marital failure, and putting in checks to ensure the high rates of divorces are mitigated. The reasons for high incidence of marital failure have been attributed to people getting into marriage for the wrong reasons i.e. for material benefit, the excessive pressure placed on young girls to marry mainly because their peers are getting married thereby loosing the true essence of marriage as a means of finding lasting companionship; abdication and abuse of marital duties and responsibilities; the misinterpretation, misapplication and abuse of religious doctrine concerning marital rights and duties especially the exploitation of the polygamy clause in Islam by many men to marry and divorce spontaneously, among many other reasons. Sceptics further argue that if the underlying causes of marital breakdown have not been addressed, what is to stop these government-sponsored marriages from failing as well? In this regard, credit could be given to the Kano state government and Hisbah board for registering and issuing marriage certificates at least within this pilot initiative, as a check, to monitor haphazard marriages and divorces. Another set of arguments critics put forward is that rather than marrying off the divorcées and widows, it might be more strategic and pragmatic for the Kano state government to empower them with soft skills training and access to soft loans and micro credit, to enable them become productive members of society. While this is a very cogent argument, we have to remember the nature of this conservative environment in Northern Nigeria in general and Kano in particular, where a woman’s status and respectability are determined to a very large extent by her marital status, regardless of her achievements or contribution to society — she is regarded as “incomplete” as long as she is unmarried. Perhaps the action of the Kano state government of giving these women some grants, financing their weddings and marrying them off could be understood within this social and moral context. Overall, like any new policy thrust, there are inherent merits and demerits, and the Kano state government and VOWAN would do well by taking some of the legitimate concerns of sceptics into consideration in understanding the underlying causes of the high rate of marital break down and putting in effective measures to mitigate such. This could entail taking opinion surveys of a select number of households, religious and community leaders on the most common causes of marital failure and ideas for solutions; conducting comparative studies with other similar predominantly Muslim-societies in West Africa, North Africa, the Middle East and parts of Asia to find out whether their incidence of marital break down is comparatively lower and whether the answer could lie in the (mis)interpretation of religious prescriptions. In addition, the government, Hisbah board and NGOs like VOWAN could also consider introducing counselling services and awareness programmes on rights and duties of spouses in conjunction with local mosques in every district, Shariah courts, adult literacy programmes and radio shows. With respect to the mass weddings, the Hisbah board could consider putting in monitoring and evaluation mechanisms periodically – quarterly, bi-annually or annually – to monitor the progress of these couples and offer conciliatory advice where necessary. Finally, as Kano state has ushered in Nigeria’s first ever mass wedding, it remains to be seen just how effective this would be in the medium to long-term, in addressing the high incidence of marital failure in Kano, and whether other states not just in the North, but all over Nigeria would tread the path of embarking on mass marriage schemes as a solution to marital breakdown and attendant social vices. It also remains to be seen how soon the government would marry off the remaining 900 women who have signed up for the scheme and whether or not other measures would be included in this initiative to alleviate the deplorable plight of the estimated one million divorcées and widows in the state. Debenhams’ Adverts Signs in Hausa: Worth Celebrating or Shameful? we wish them all the best and hope kano state will focus more on empowerment for the divorcees before marrying them off. If only the same effort and initiative were invested in reforming the state’s educational system & providing socioeconomic and educational empowerment to the Almajarai system. A nice and well researched analysis and like you rightly said all hands must be on deck for us to be able to solve this age long problem.What the government did is a right step in the right direction because like the doctors will tell you when a person is convulsing the first thing you do is to ‘abort’ the convulsion before you dig into the underlying cause otherwise you may end up with a dead person by the time you came up with the underlying cause.So everything must be done simultaneously. I think the mass wedding is a good idea. I wish the couples all the best. Nice write up too, Zainab! Please do keep it up! “Weekly Trust learnt that though the scheme was meant to assist widows and divorcees, some young women who had never married before also took advantage of the government’s assistance to get married through the scheme. Interesting article. I think the main reason why there are so many marriage failures can be traced to the ease in which men can divorce their wives without any obligation to them in terms of maintenance. if the laws are made tighter, making it necessary for men to get licenses before marriage and also getting marriage contracts in place that state the rights of both parties, we might see a reduction in the abuse of the divorce process by men. If men feel some financial pinch in getting married or divorced then they will respect the whole marriage institution more and try and make it work. I noted that you said people get married for the wrong reasons? Can we say that? I think that if men or women get married for whatever reason, that is what they hold important and if the marriage does not work out then that is their fault and government cannot be held responsible. Also women cannot be totally cleared of any blame in the end of some marriages and many have been known to be just as much at fault in the death of many marriages as much as men are. What I find disturbing is the ease at which people get married and divorced in Northern Nigeria. In my part of Nigeria, marriage is a long drawn out process and (despite complaints about the expense involved), marriages tend to last. No one is really talking about the children in such marriages. How are they taken care of? Who is responsible? I can now see why millions of miscreants roam the streets of Northern Nigeria. Cheap marriage don’t bring immorality anywhere sis. Zainab, well done for the article. From my point of view, mass wedding is a reactive and certainly immediate measures in addressing deplorable moral decency in our society. I strongly believe lack of knowledge (understanding “why” the marriage in the first place and individual responsibility therein) coupled with a means of income to service this union are the key aspects the government and society shall focus on. The question now what is the next step to ensure the mass weddings are sustained? How many are already broken and why? And lastly, what are the lessons to be drawn from these failures?